The end of the week at Earls Hall was a time to celebrate the efforts of individual children across the school. 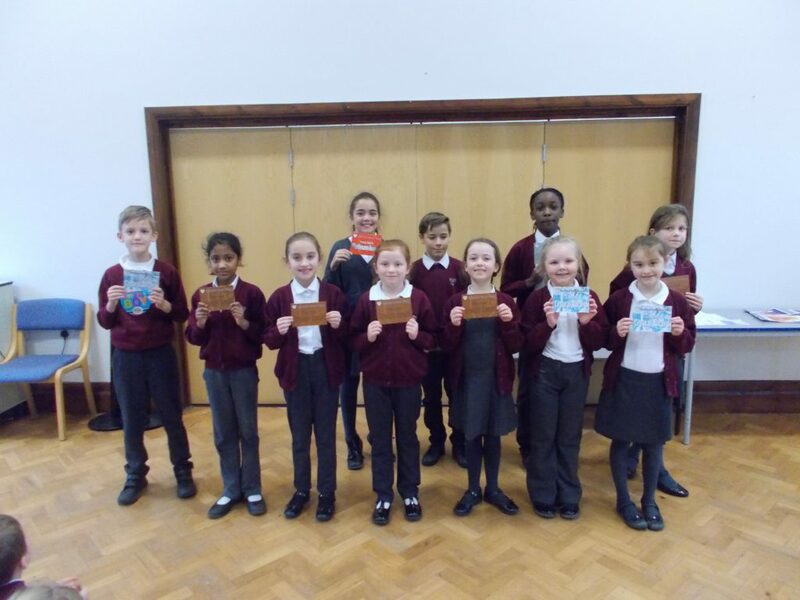 In our two simultaneous ‘Celebration Assemblies’ Mrs Ludlam and Mr B presented certificates to our ‘Earls Hall Stars’ from each class as well as certificates for Maths achievements. Well done to all of the children who were rewarded today, we are proud of you. Later in the day the children from Rabbits use the laptops in order to create paint pictures of superhero tortoises whilst the children in Sycamore continued to investigate the history of the local area by focusing on artifacts discovered over time in Priory Park. Whilst Mr B enjoyed listening to some fabulous readers from Robins, the children in Kestrels made their own woolly mammoths out of milk bottles and tissue paper, Mr Smith developed table tennis skills in the hall with the children from Willow and Mrs Irwin, one of our school governors, met with this weeks ‘Learning Ambassadors’ to discuss the learning which has been taking place across the school.